All Stars Media posted Thursday May 10, 2018. With the off season well under the Mainline DynoLog Dynamometers All Star Series has had a chance to look back on the past 11 seasons and what has been achieved since their conception back in 2007-08. “My good friend Tom Schmeh who worked as an historian at the Knoxville Hall of Fame until recently told me in our first season – ‘Mandy you need to keep record of series winners & stats etc. so you can look back on your history’ I did wonder why back then but did as he suggested and now as the years have passed I get it and find it fascinating to look back on. By keeping records I also know when our special milestone events will happen. This season we get to celebrate our 100th series round; that’s a pretty big deal for us. Who would have ever guessed at our first ever show at Bacchus Marsh and only18 cars in attendance that one day we would get the chance to celebrate 100 rounds.” Mandy Searle says. •	211 drivers have competed overall. •	Phil Lock has only missed 1 show since we started. Chris Solomon, Paul Solomon, Brad Foster & Tony Moule make up the top 5 drivers that have raced the most with series. These 5 drivers are also the only ones who raced at the first ever show and been competing with us since. •	Tony Moule has won the most A Mains with Locky 2nd; Paul Solomon 3rd There has been 34 different feature winners overall. 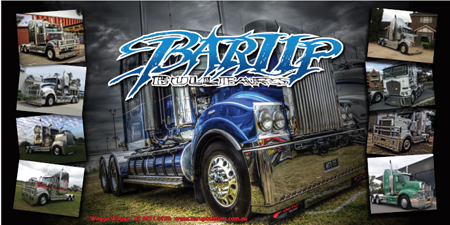 •	3 sponsors have supported the series since the start - Max Dumesny Motorsport, GKR Transport & Sprintcar World. 6 other companies have locked in 10 seasons of support – Red Ed Sheds, Vortex Racing Products, Hoosier Tire Australia, Oval Express Magazine, IDIGIT & Maxam Printing. What an outstanding level of commitment from these companies. •	Timmis Speedway, Mildura has held the most series rounds running a total of 18 rounds, with Simpson Speedway next in line closely followed by Murray Bridge Speedway.14 different venues have held rounds. •	Both the All Star Challenge and Tyson Perez Memorial have run 8 times. The Challenge has had 7 different winners and one wash out. The Spud show has had 4 different winners. 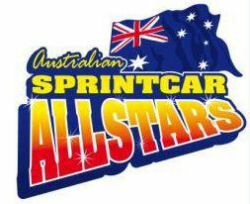 100 different drivers have competed in the Challenge from every state in Australia and the USA. Phil Lock, John Vogels & Chris Solomon are the only 3 drivers that have competed in all 8 shows. Current Supercar Driver Tim Slade raced in the first ever Challenge. 107 different drivers have run the Spud Show. •	10 different drivers have won the series with the first two time winner last season. •	4 officials have been involved since day one. •	160+ Rookies to 360 racing have competed over the years. “When you look at these statistics you can see just some of what has been achieved over the past 11 seasons. The dedication of our drivers, sponsors and officials is amazing. The car count still stays strong even with all the miles we travel. Looking at these stats you can also see clearly the ‘family feel’ that we pride ourselves on shine through. Watching young 16 year olds doing battle with the 60 year olds, watching brothers, sisters, mums, dads and uncles compete against each other always makes me really proud of what we have achieved. Giving young competitors the opportunity to race with their hero’s, for example watching a 17 year old Cory Lincoln line up beside a legend like Danny Smith or 16year old Cheian Perrett get to race against Terry McCarl is really cool. Every driver, crew, sponsor & official should take the time to be proud of their achievements because we are. I wonder what amazing stats I can add to our history next season.” Mandy says. Darren Hickman Lauren White (Densley) Tony Moule .